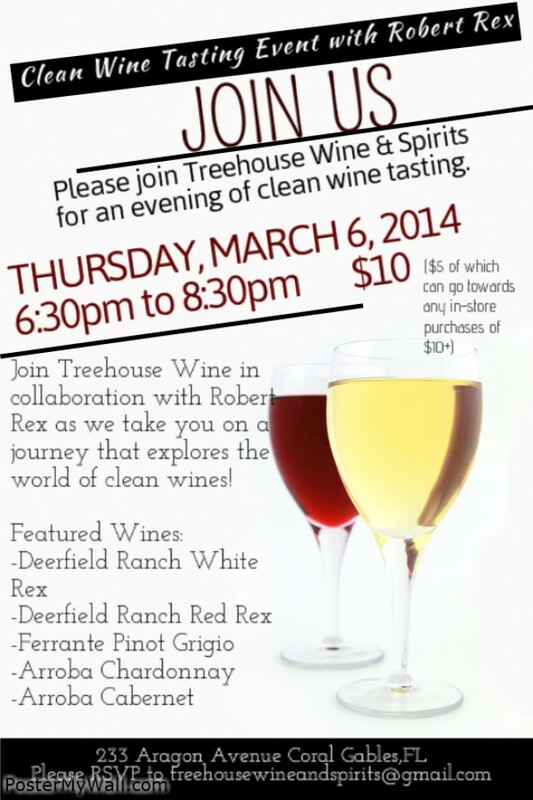 Join us this Thursday, March 6th from 6:30PM-8:30PM at Treehouse Wine & Spirits (233 Aragon Avenue) in Coral Gables, FL for a tasting of four Robert Rex wines. 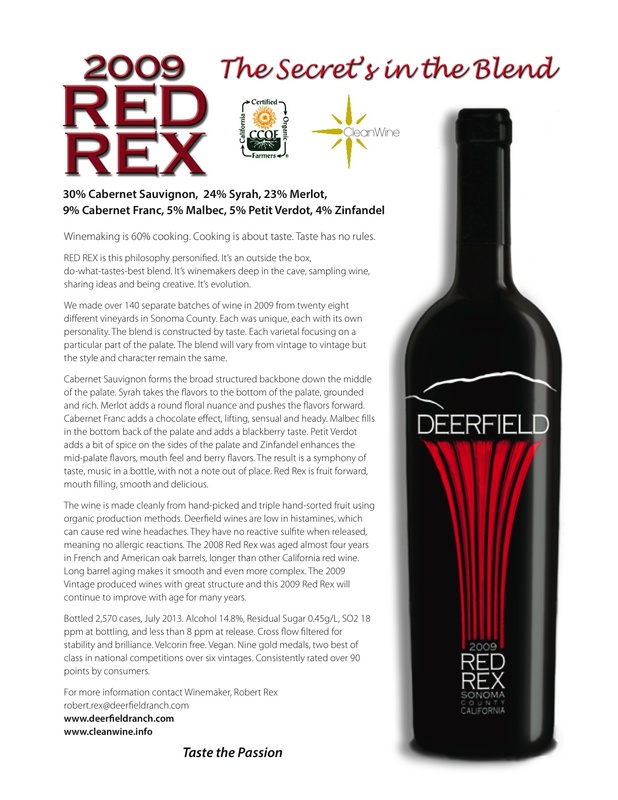 We will be tasting Red Rex & White Rex from Deerfield Ranch Winery, as well as the Cabernet Sauvignon & Chardonnay from Arroba (@) Winery (sister winery of Deerfield’s). $10 for the tasting ($5 goes toward your wine purchase for the night)–Cheese & Chocolate will be served. More information on the event can be found on LocalWineEvents.com, or by clicking here. 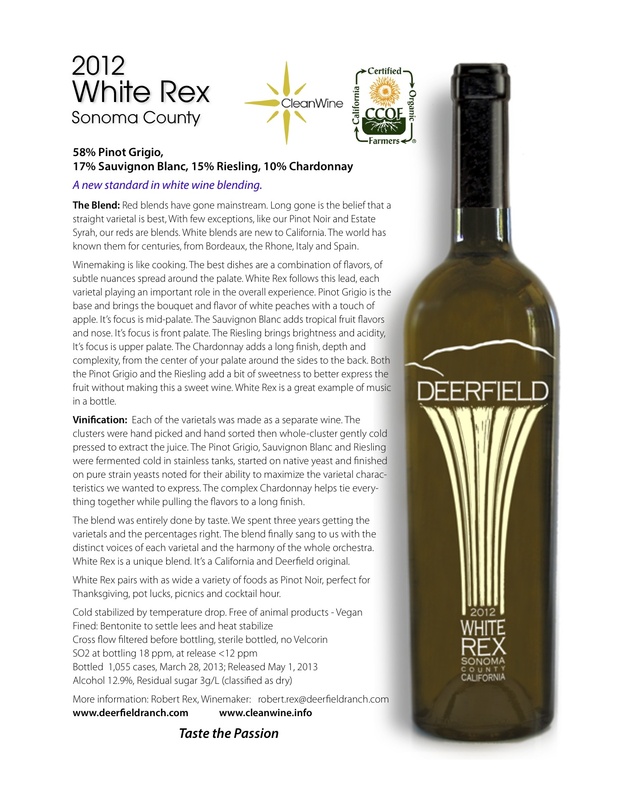 Deerfield Ranch Winery is a certified organic winery, committed to biodynamic farming and producing “clean” wines. This essentially means that the wines are extremely low in histamines and sulfites. For those who get headaches and claim to be “allergic” to wine, these are the best wines for you to drink to lower your chances of symptoms. If you are in the Miami area, you can come taste them on Thursday. I wish I could attend!!! I’m going to have to buy these for my mom to try and see how she tolerates it. She likes wine but doesn’t drink because she gets really bad migraines. Maybe this is the key for her “liberation to libation.” LOL. I really do crack myself up.